Review – In a word: unpleasant. 3KMTG is weird, horrible in every way yet exceptionally entertaining. 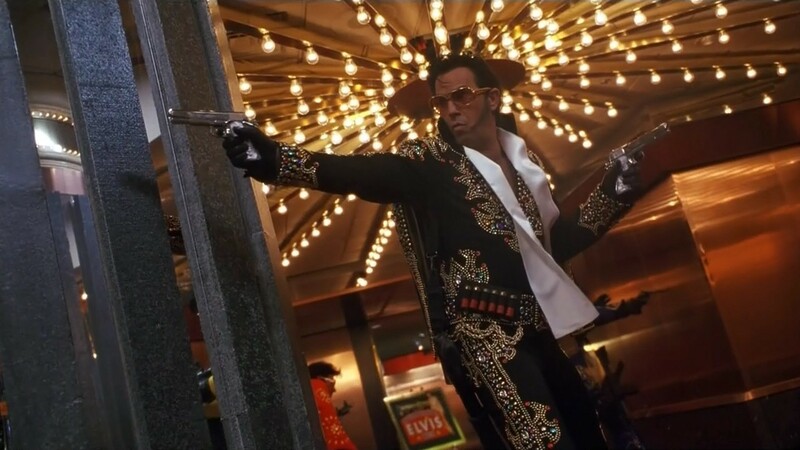 The cast is amazing, the action is hyperviolent and explosive and the Elvis impersonations are spot-on. It’s over the top and unsure what it wants to be, a comedy, action or heist movie? One scene which sees the gang machine gunning a Vegas casino in excessive slow motion deserves to be on anyone’s “Best Movie Shootout” list. By the second half the cons can get a little tiring, but then you have a scene where Ice-T dual wields two SMG’s whilst hanging upside down. It won’t win any awards for…well anything. But it’s an anomaly worth checking out.